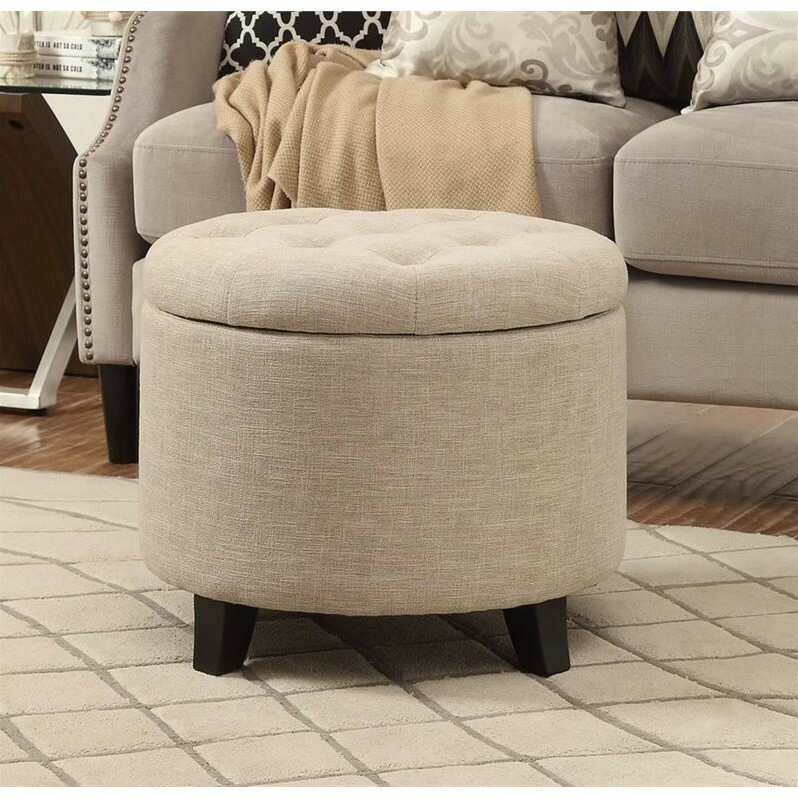 Make a bold statement with the Designs4Comfort Round Ottoman by Convenience Concepts. Featuring a removable lid that provides easy access to concealed storage inside the ottoman. Upholstered in a light tan linen, and a stylish tufted top makes a very comfortable conversation piece!